When I visited Ohio after Christmas, I finally got to visit a famous resident of Marblehead, known as Handless Jacques. While he’s not an official Muffler Man, he is a big, strange, roadside statue which is enough to make him a destination by my road trip criteria. Marblehead is a village on the Marblehead Peninsula in Northwest Ohio, with Lake Erie to the north and Sandusky Bay to the south. It’s a summer vacation destination, close to Kelleys Island, Put-in-Bay, the Cedar Point amusement park and is home to the oldest continuously-operating lighthouse in the Great Lakes region. Like other summer waterfront communities, Marblehead—population of less than a thousand—was quite desolate but beautiful in late December. Handless Jacques was not always handless. 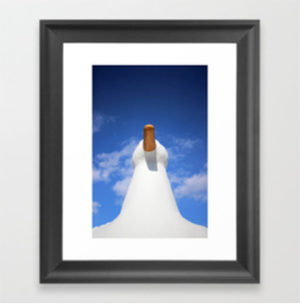 In the late ‘60s, he stood outside of the Jacques Sandwich Shoppe in Marion Ohio and he held a tray topped with a large sandwich. When a fire damaged the shop, Jacques was moved to Marblehead and lost his tray and hands (cast as one piece) somewhere along the way. 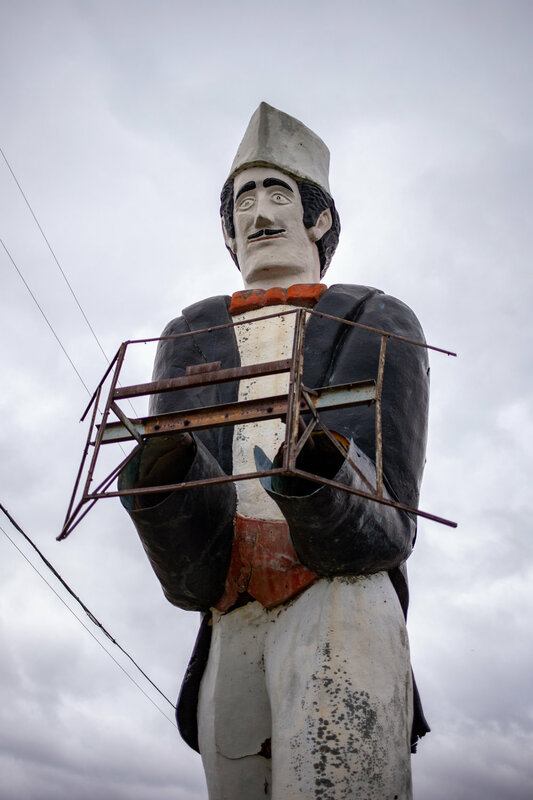 Today, the fiberglass giant stands more than 20-feet-tall and advertises nothing but himself on the side State Route 163, between a gas station and a lot with a few rusty RVs. 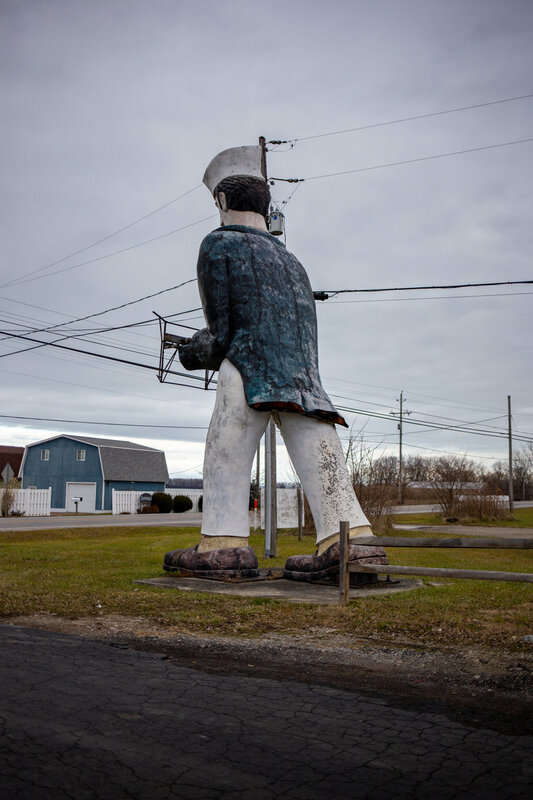 He’s much larger than a standard Muffler Man, more rough in his construction and sparse in decoration but he still adds whimsy to an otherwise unremarkable stretch of road.